Saturday Night Live was nominated for 22 Emmy Awards. 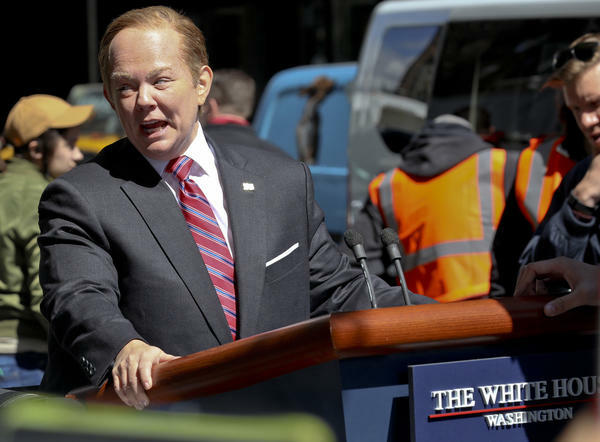 Here, Melissa McCarthy portrays White House spokesman Sean Spicer in a special segment taped in May. With 22 Emmy nominations each, NBC's Saturday Night Live and HBO's Westworld tied for the most mentions in the Television Academy's list of contenders for the 2016-2017 season. Saturday Night Live saw three of its cast members — Vanessa Bayer, Leslie Jones, and previous winner Kate McKinnon — nominated for best supporting actress in a comedy. Following the top two shows were Stranger Things and FEUD: Bette and Joan, each with 18 nominations. Veep, last year's repeat winner for best comedy series, earned 17 nominations in 2017. HBO retained its crown as the most-nominated network, with 111, followed by Netflix, with 91, and NBC with 60. The drama category had been expected to show some turnover, and it didn't disappoint — in part because last year's winner, Game of Thrones, wasn't in the running due to a production hiatus (its new season begins on Sunday).